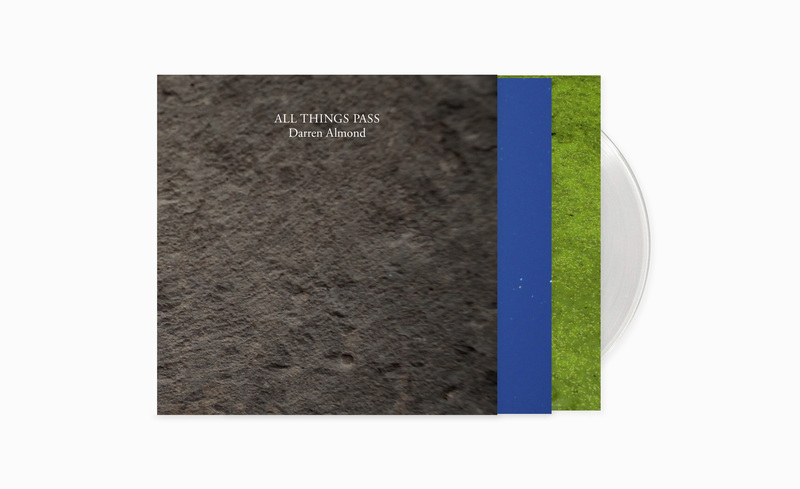 Darren Almond’s record All Things Pass, coproduced by Mudam, Luxembourg’s contemporary art museum, and the French publishing house Shelter Press, highlights the musical dimension of the artist’s eponymous video installation, shot in 2012 in Rajasthan. All Things Pass, presented at Mudam within the framework of the exhibition Darren Almond, Timescape (11.02. – 14.05.2017), has for central subject the Chand Baori, a stepwell built in the 9th century in Rajasthan. A meditation on the transient and cyclic nature of all things, this work is based on the combining of several sequences filmed at different times of the day and night, during rainy and sunny seasons, and on the occasion of an annual festival. It reflects the synchronicities which tie together celestial phenomena and terrestrial events, the links that exist between the different time scales, thus echoing the position that these notions hold in the conception of time in India. The four musical sequences, presented here in an autonomous way, activate the correspondences that exist between the cycles that regulate cosmic and human existence on different registers, visually and musically. As part of both the tradition of music in Northern India and an experimental approach, the musical response of the four musicians, the passages they perform between different rãgas, the rhythmic and melodic motifs they deploy in time, the contrasts and changes in rhythm with which they mark their improvisations, embody the temporal dimension, as well as the specific setup Almond employed during recording. Equipped with a shotgun microphone, he came close to the instruments, carrying out the aural equivalent of zooms and close-ups, which are reminiscent of the fragmentary way he visually approached the Chand Baori. There is sometimes fulgurant telescoping between microcosm and macrocosm, between the details of sounds and their links with the universe. The record is accompanied by a booklet which brings together an unpublished text written by the curator of the exhibition Timescape, Christophe Gallois, and images illustrating the work. The design was realised by the London based Studio Fernando Gutiérrez in order to create a unique artist object. Reversed board printed gatefold and innersleeve, with one LP pressed on clear wax and a 16 pages full color sewn-bound booklet. The record All Things Pass, accompanied by a booklet, focuses exclusively on Almond’s work All Things Pass, a video installation combining several temporalities whose central subject is Chand Baori, a ninth century stepwell located in Rajasthan. The composition, produced by a group of four Indian musicians, reveals close relations between the images and the very notion of rãga, at the heart of Indian music. The publication Timescape presents an interview between Darren Almond and Christophe Gallois as well as exhibition views, showing the singularity of each artwork and, most of all, highlighting the artist’s recent series Timescape, abstract paintings inspired by representations of the cosmos.